I have an extensive library of images from all over Europe as well as downtown Indianapolis landmarks that would make beautiful wall art. 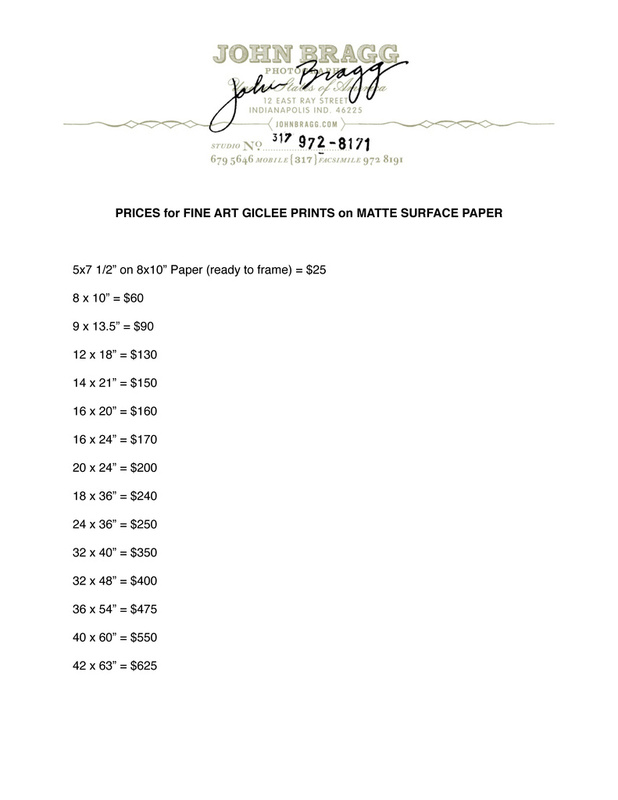 I can do small 8”x10” prints that are easy to frame or create beautiful canvas gallery wraps as large as 40”x60”. For an even more personal approach, we offer printing and stretching services of your own images. 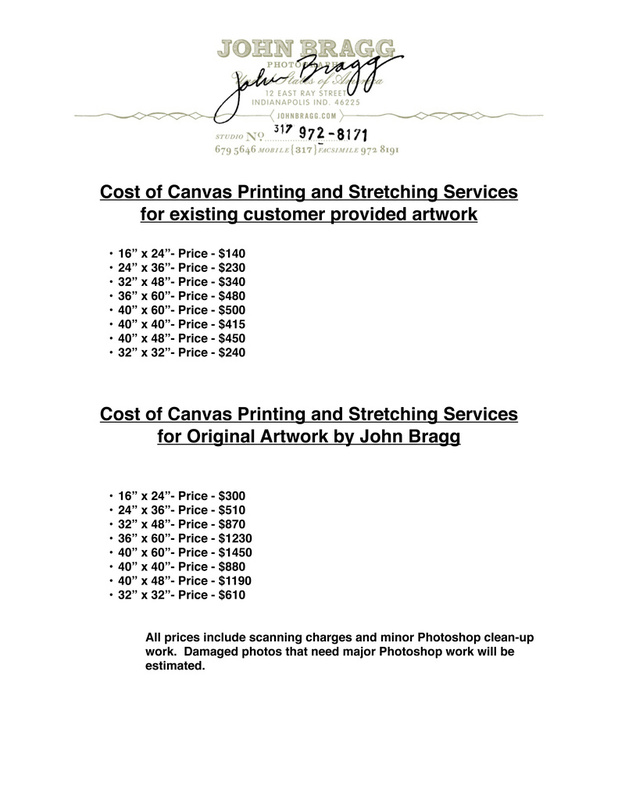 Price lists for original artwork or printing and stretching services are below. Please contact me for any print orders.